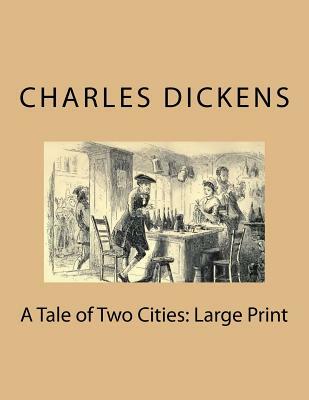 A Tale of Two Cities By Charles Dickens After eighteen years as a political prisoner in the Bastille, the ageing Doctor Manette is finally released and reunited with his daughter in England. There the lives of two very different men, Charles Darnay, an exiled French aristocrat, and Sydney Carton, a disreputable but brilliant English lawyer, become enmeshed through their love for Lucie Manette. From the tranquil roads of London, they are drawn against their will to the vengeful, bloodstained streets of Paris at the height of the Reign of Terror, and they soon fall under the lethal shadow of La Guillotine. We are delighted to publish this classic book as part of our extensive Classic Library collection. Many of the books in our collection have been out of print for decades, and therefore have not been accessible to the general public. The aim of our publishing program is to facilitate rapid access to this vast reservoir of literature, and our view is that this is a significant literary work, which deserves to be brought back into print after many decades. The contents of the vast majority of titles in the Classic Library have been scanned from the original works. To ensure a high quality product, each title has been meticulously hand curated by our staff. Our philosophy has been guided by a desire to provide the reader with a book that is as close as possible to ownership of the original work. We hope that you will enjoy this wonderful classic work, and that for you it becomes an enriching experience.